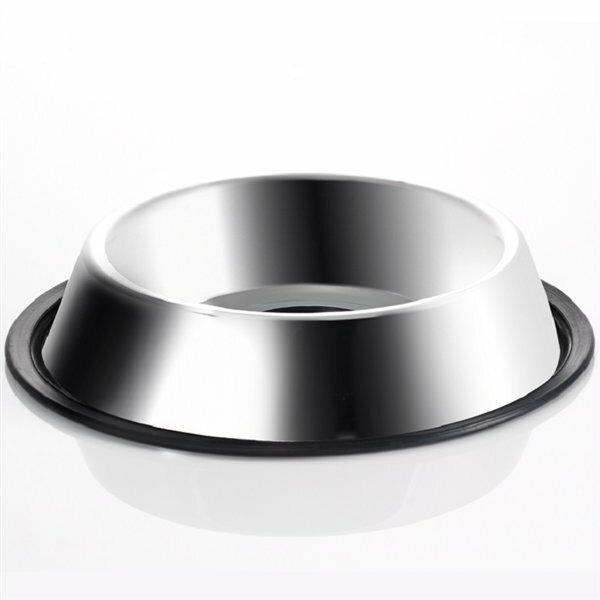 These double skinned stainless steel dog bowls with non-slip rubber base are superior quality and perfect whether you use them for wet or dry food. They will not absorb odours and are stackable for easy storage. Diameter at base 25.5cm outer rim, 14cm inner base. Upper rim diameter approx. 19cm. Height 5cm.